Accoyo Calypso is a beautiful female. She's a full Accoyo light fawn, almost medium, out of our extremely nice Accoyo female, SA Accoyo Solexa. 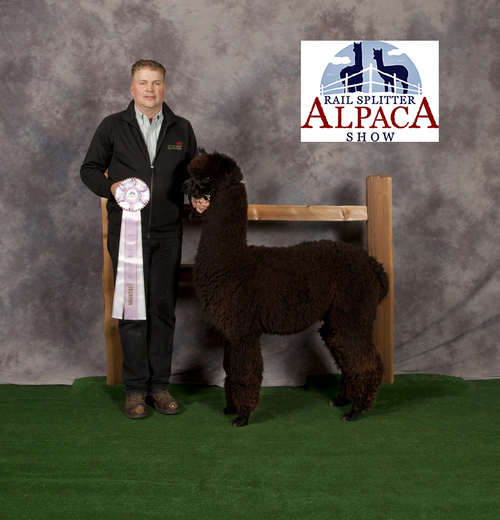 And her sire is non other than the famous C Peruvian Accoyo Express! 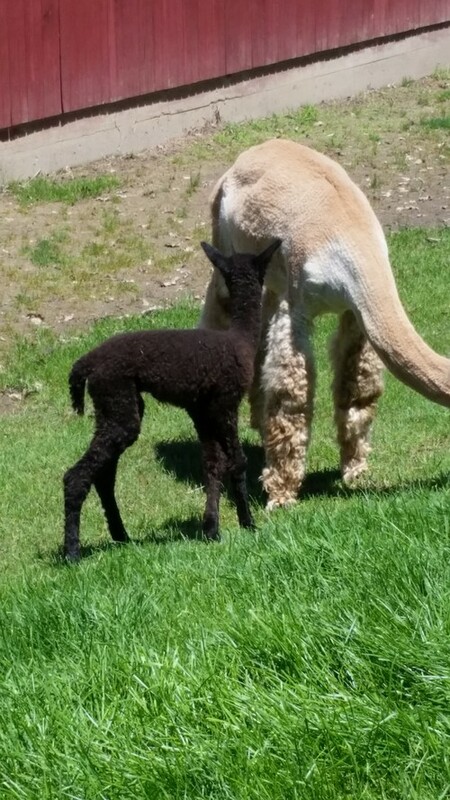 Calypso has a gorgeous head, great conformation, and really crimpy. soft fleece. 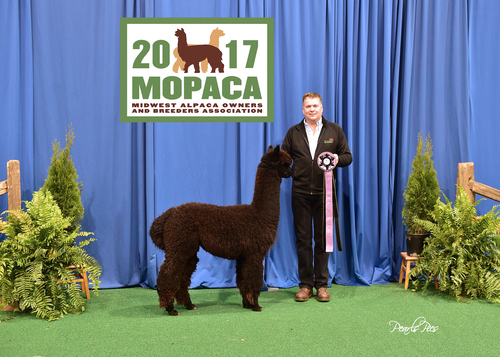 She comes with her maiden breeding, and we suggest 8 time champion full Accoyo Destinati for that home run Fawn full Accoyo cria! 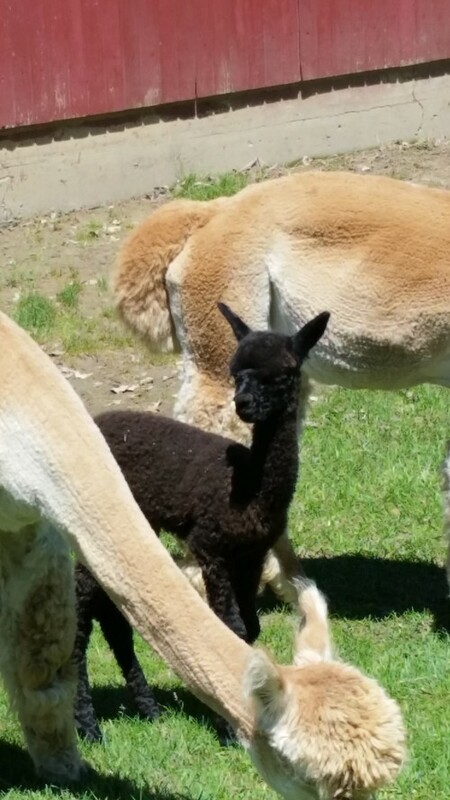 Here is a half Accoyo Black male and he is very, very nice! Grandsire is Accoyo Express 0222. Sire is 19 time champion Jacob Black. This little guy will be excellent!